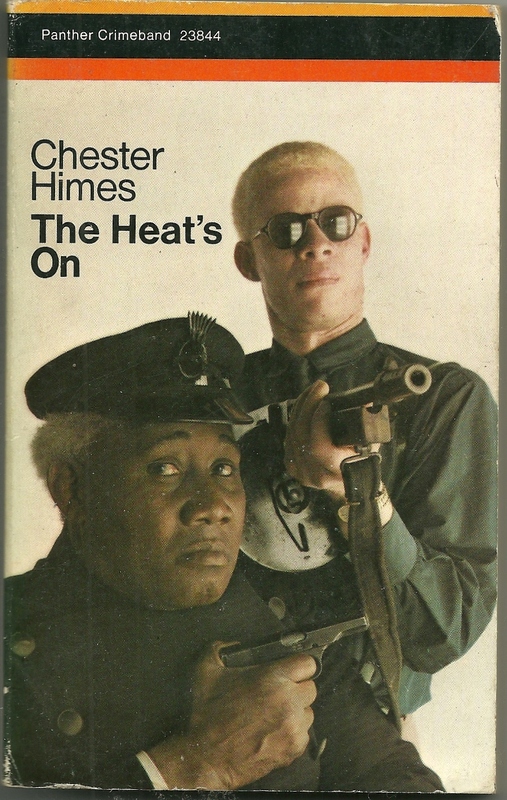 1968 UK Panther Crime edition of Chester Himes’ seminal tome The Heat’s On. Pretty hard to find and a great score. The cover is puzzling but so so ill! 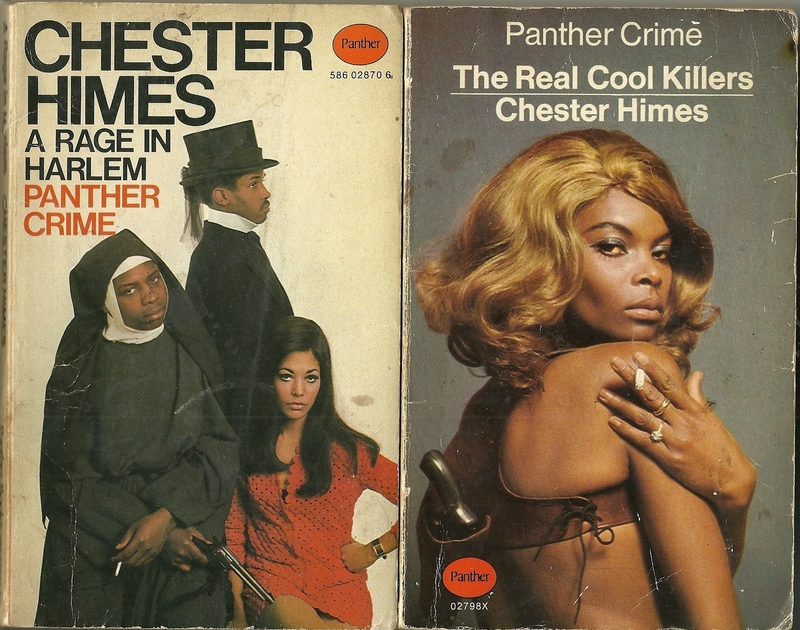 In addition to collecting 70s and 80s toys, Blaxploitation ephemera and outsider art, I’m also very interested in the history of this country and its representation of Black folk in the media. 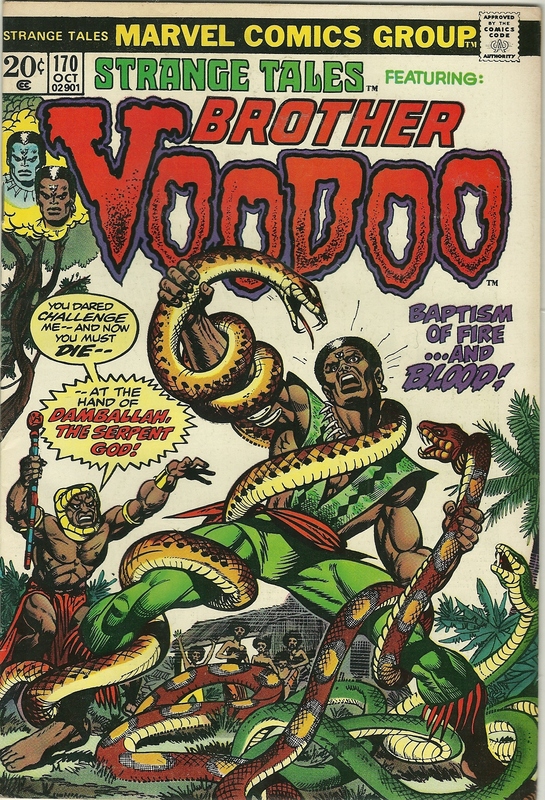 One of the first things I began collecting over 20 years ago is Black memorabilia. Seen by some as abhorrent and offensive, its a derisive and unforgettable part of American history and a touchstone to where we were and how far we still have to go. 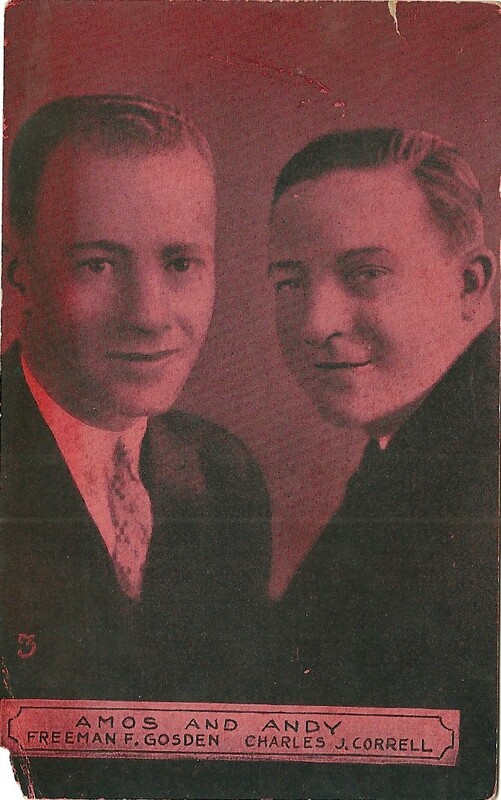 The cards pictured above are the first three cards of a set of 16 that were a promotion for the hugely popular Amos and Andy radio program which aired, in various formats, from 1928 to 1960.This rare set was given away by one of the sponsors of the program. The premise of the program was set around the hijinks of two friends, Amos and Andy, and their “fish out of water” life in the North. 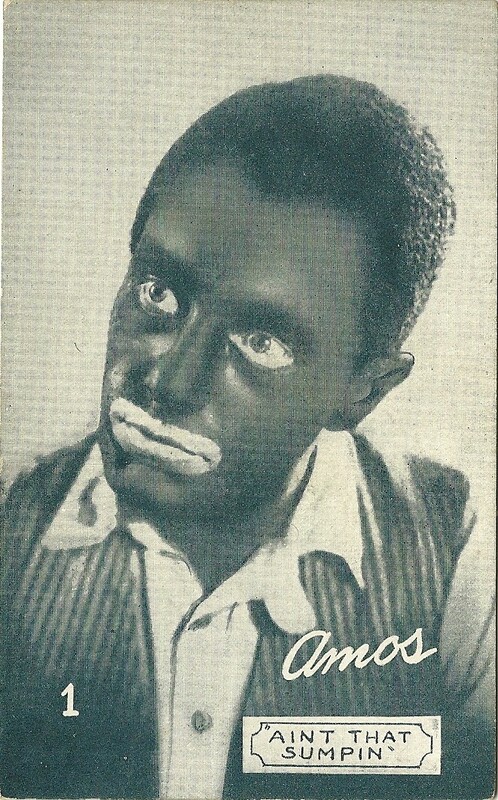 They were played by two white men in Blackface, an old minstrel tradition where Black people were mocked and cruelly ridiculed; initially on stage and later on radio and cinema. 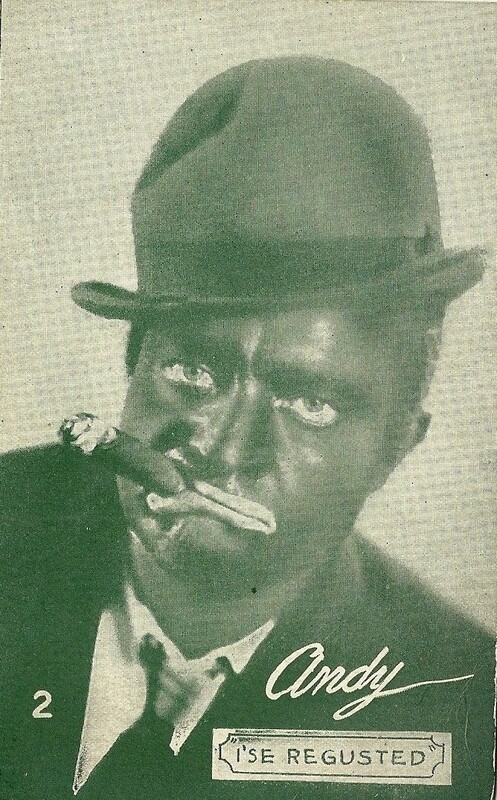 The radio program made the transition to television in the early 1950s featuring Black actors.